There are four cornerstones to attracting wildlife. These are providing FOOD, providing WATER, providing SHELTER and providing BREEDING PLACES. You’ll find projects for all ages and skills. Whether you are interested in helping birds, mammals or invertebrates, or wildlife gardening, upcycling and recycling then these guides are for you! Here is a great way to make good use of your empty seedball tin once you have thrown your seedballs around the garden. 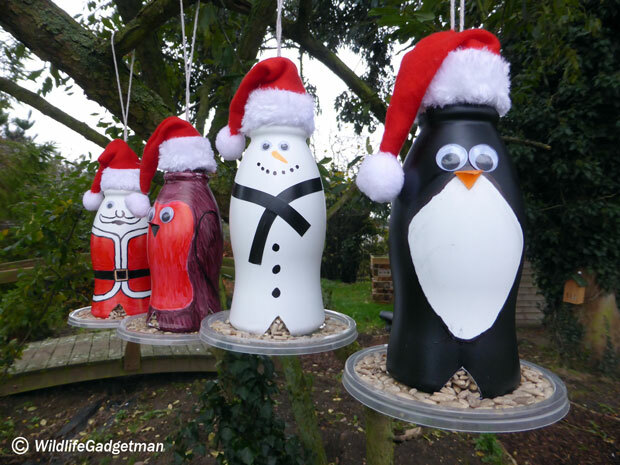 Make a festive bird feeder using a recycled milkshake bottle. 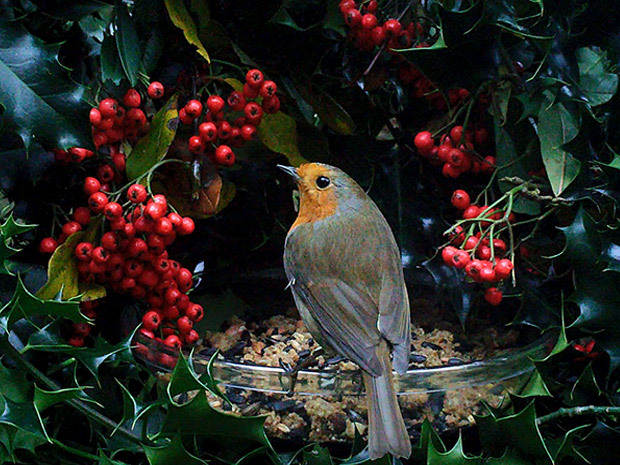 Make a Christmas Wreath Bird Feeder using a hanging basket and other recycled materials. 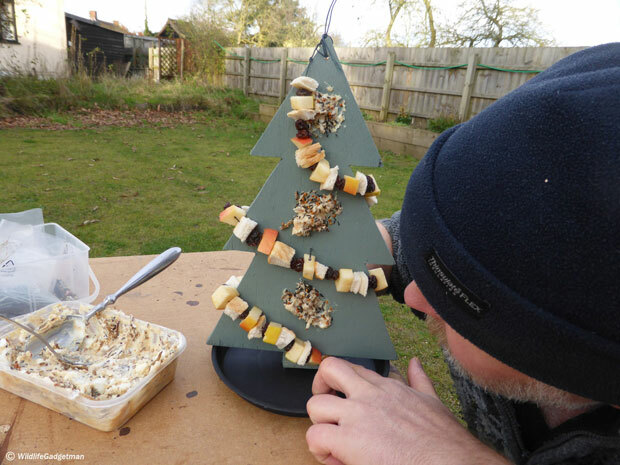 Make a festive hanging bird table using a Christmas snack tray and picnic plate. Make a festive variation of my Fat Stick project. An easy one to do with the kids! An easy project to do with the kids of all ages! 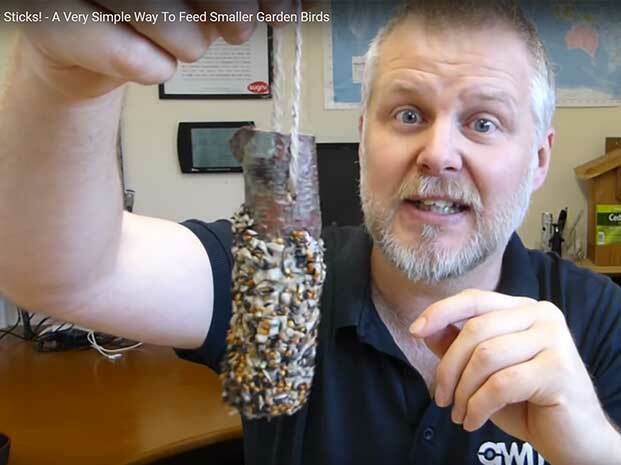 Make Fat Sticks for garden birds. 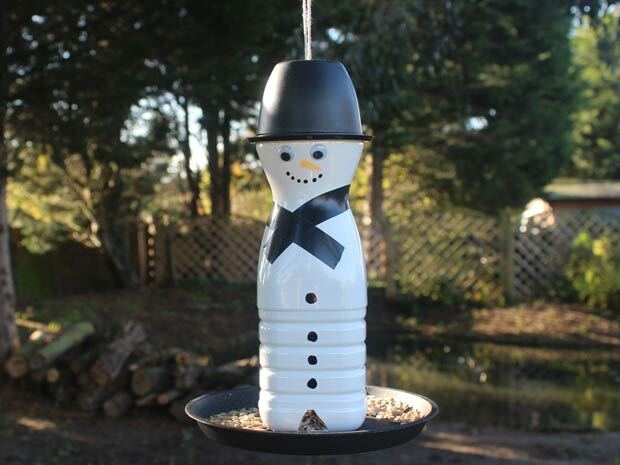 Make a Snowman bird feeder using a a Cravendale plastic milk botlle. 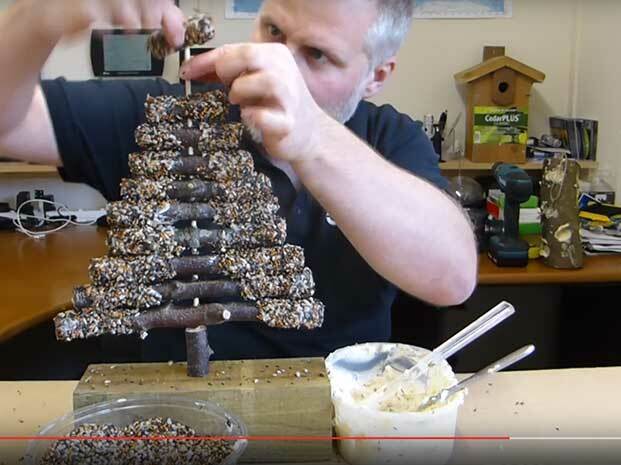 Make a Christmas Tree shaped bird feeder for the birds in your garden! 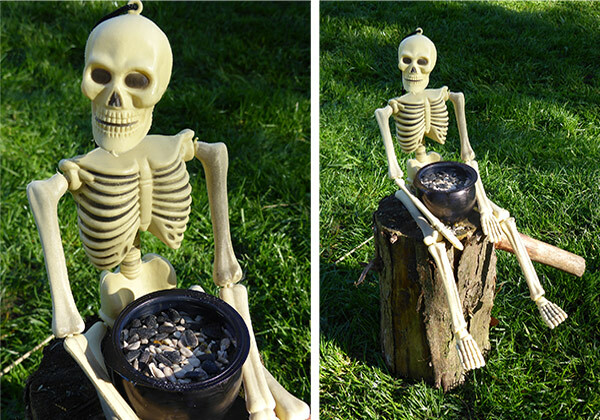 Make a Halloween inspired skeleton cauldron bird feeder using an empty yogurt pot. 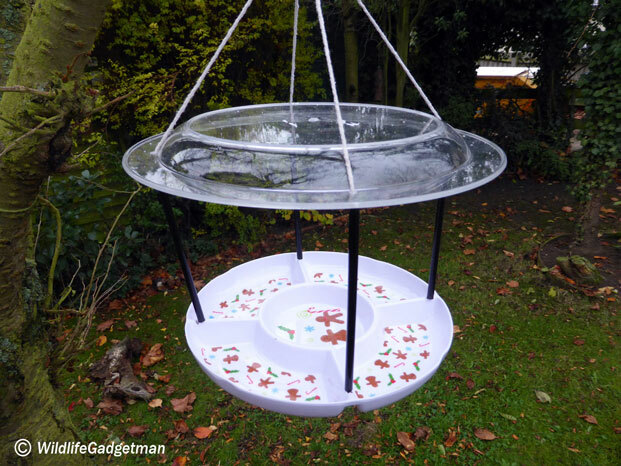 Make a window bird feeder out of a recycled takeaway tub. 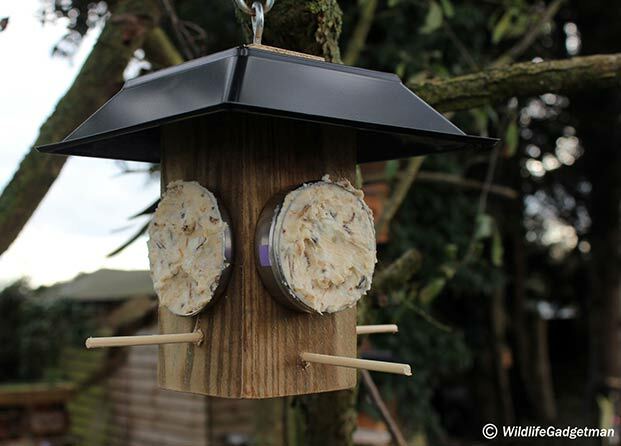 Make a bird feeder out a Gu Puds ramekin and some scrap wood. 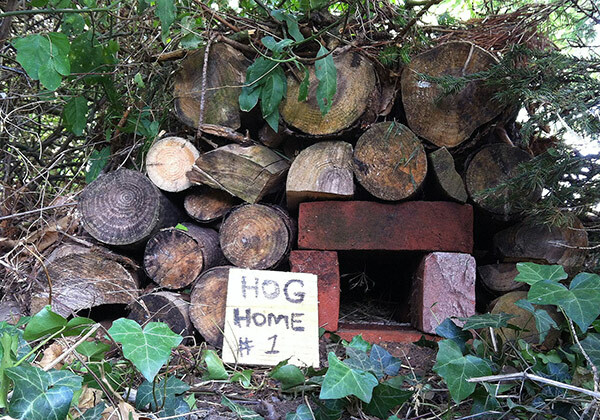 Construct a hedgehog box using recycled garden materials including an old terracotta planter. 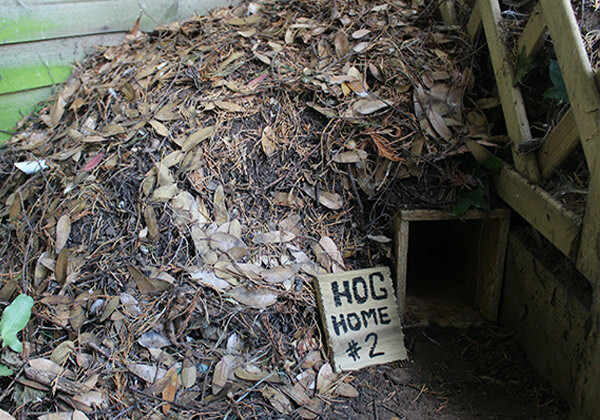 Make a cosy hedgehog home using a plastic storage tub and other recycled materials. 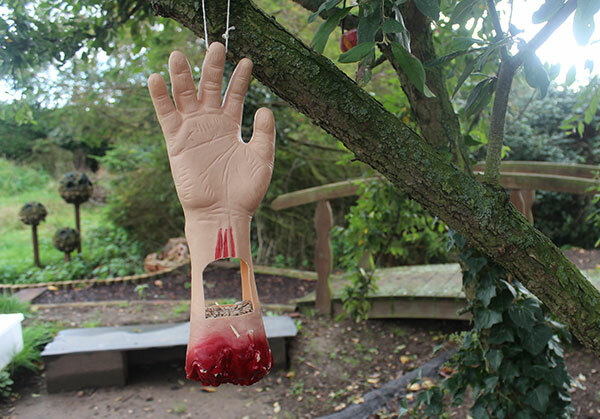 Make a severed hand bird feeder for Halloween using a novelty plastic hand.